Michael has most recently been promoted to the management team at MMA. He brings a blend of deep analytic capabilities and practical problem solving skills to help his Fortune 500 clients solve complex business problems. Michael has spent more than 10 years working with key executives at MMA in shaping his analytics and management consulting experience. At MMA, his focus has been in marketing mix measurement, commercial effectiveness, sales force optimization and custom analytics focused on solving high-value client opportunities. Michael is recognized for his ability to produce consistently high–quality results that lead directly to measurable value. This has enabled him to lead complex engagements for leading global companies across a number of industry verticals including pharma, restaurant, retail, and gaming. 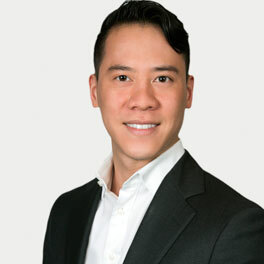 Prior to joining MMA, Michael worked as a management consultant at ZS Associates. His experience spanned a variety of pharmaceutical practice areas (M&A due diligence, pricing, organizational design, change management, sales force optimization). Prior to ZS Associates, Michael worked at Accenture as an analytics consultant in the Marketing Sciences practice. Michael holds a Master’s Degree in Business Administration from Columbia Business School and Bachelor’s degrees in Economics and Systems Engineering from the University of Virginia.